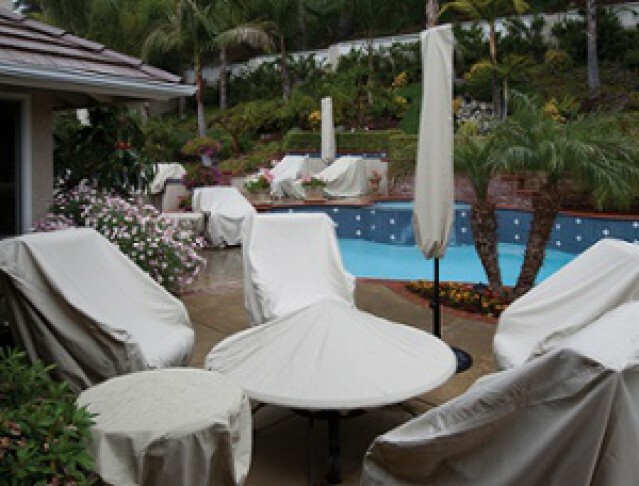 The Patio, Deck & Hearth Shop carries Treasure Garden’s full line of protective furniture covers, which will fit most style or brand of furniture. Treasure Garden’s furniture covers are made with RhinoWeave™, a Treasure Garden exclusive. Designed to be durable, breathable, water resistant and will not crack or peel like vinyl. Each cover features a spring cinch lock to secure protective cover in place for a snug fir, water-resistant zippers on all modular styles, convenient storage pouches sewn in to most covers, and they are all machine washable.